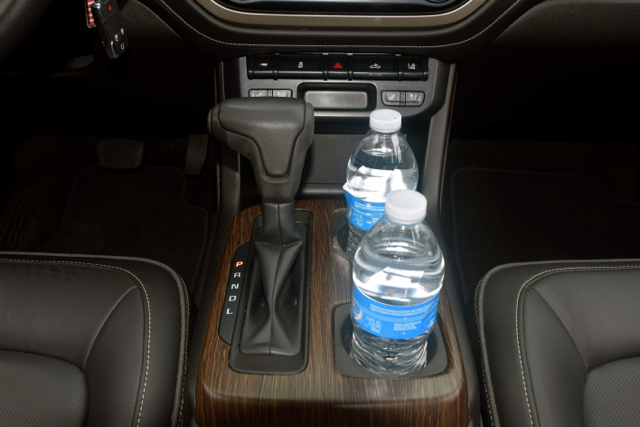 GMC brings luxury touches to its midsize pickup truck. 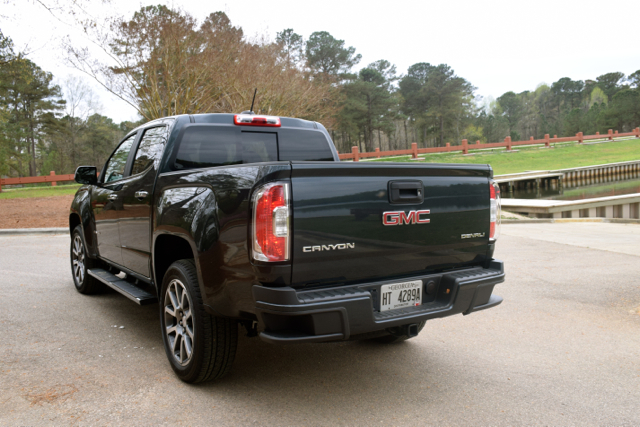 It’s been three years since GMC reintroduced its midsize Canyon pickup truck, this brand’s equivalent of the Chevrolet Colorado. Both trucks have been an overwhelming success for GM and the segment’s renewal follows that achievement. Yes, the Toyota Tacoma remains the class leader. And although the Nissan Frontier is clearly aged, that fact hasn’t kept customers away from the Nissan. Indeed, the Frontier is the value leader with its most expensive vehicle costing about $8,000 less than the competition. Within two years, both Ford and Jeep will soon field trucks in this segment once again. 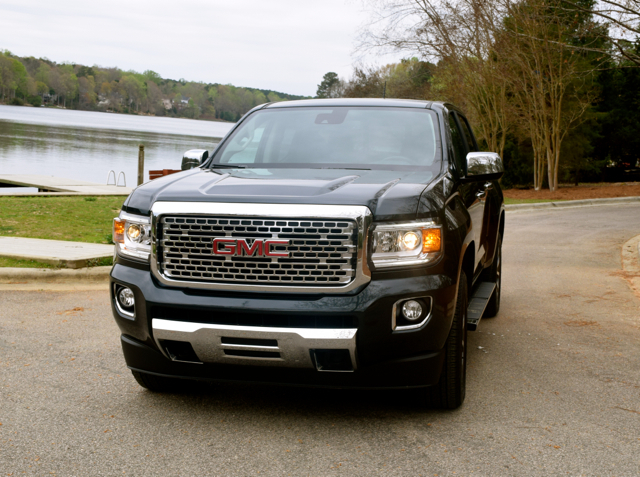 Read “Denali” and immediately you should recognize the top-trim of the GMC line. 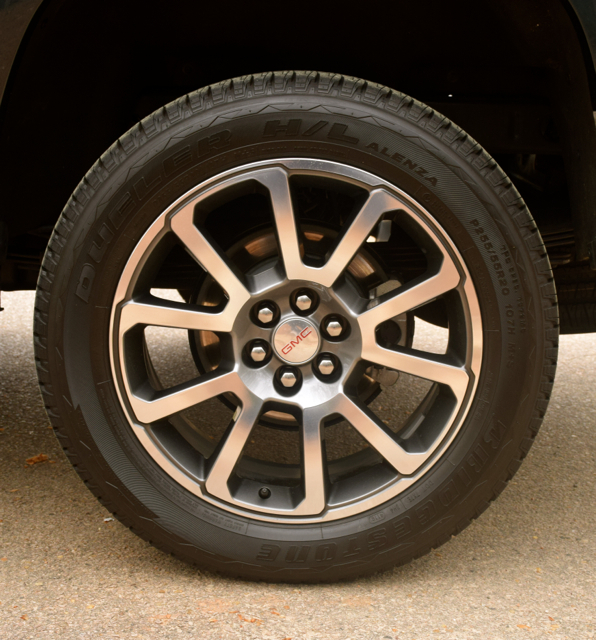 Every GMC product features Denali, a line marked by chrome touches across the grille, front skid plate, side mirror caps, window trim, door handles, and the wheels. Inside, you’ll find leather generously used in many places — on the dashboard, the seats, and surrounding the steering wheel. Woodgrain and aluminum trim adds contrast, elevating this model. The base Canyon truck begins at $21,880, an extended cab, rear-wheel drive model with vinyl floor covering and no rear seat. You’ll also find a 2.5-liter, four-cylinder engine with 200 horsepower and 191 pound-feet of torque. This engine comes with with a six-speed manual transmission. Optionally, a six-speed automatic transmission is available. Standard Canyon Denali equipment includes projector-type headlights with LED signature lights, daytime running lights, front fog lamps, front recovery hooks, and 20-inch ultra-bright machined aluminum wheels. 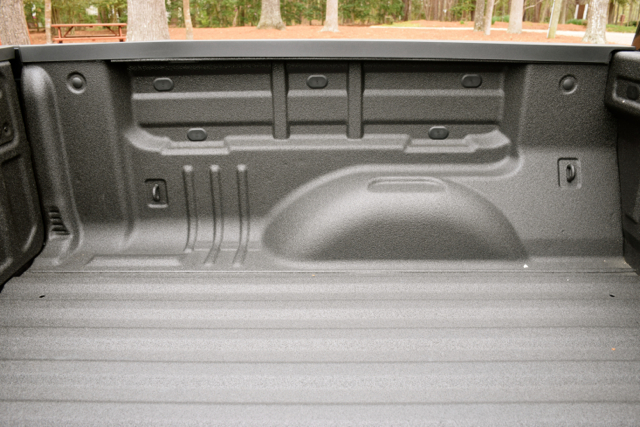 You’ll also find side assist steps, a locking tailgate, corner step bumpers, spray on bedliner, and cargo area lamps. Power side mirrors with a heating function are also standard. Inside, you’ll find room for five. 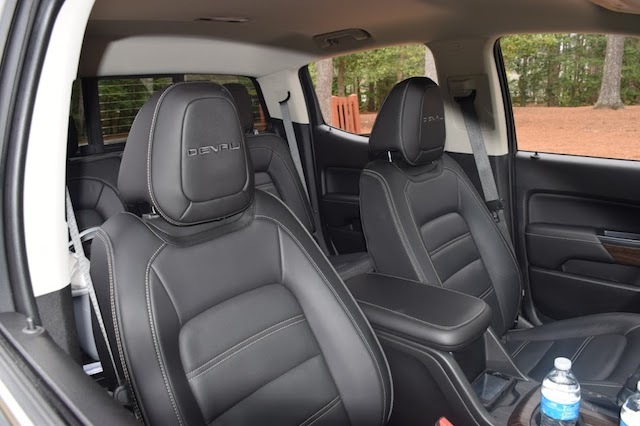 Of course, the crew cab is best suited for holding five; the extended cab offers limited legroom. Even with space for five, the crew cab is best suited for four grown men. 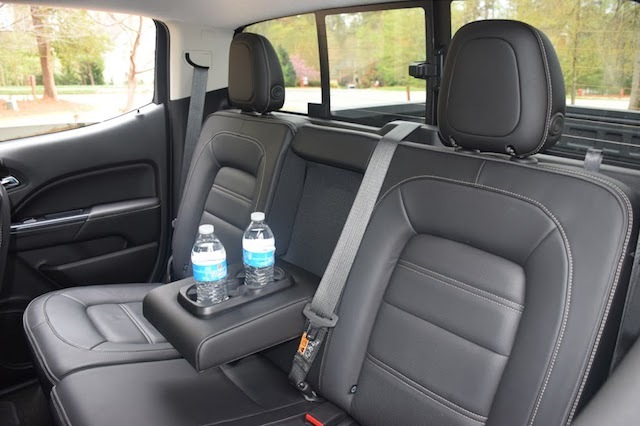 Plush and supportive bucket seats are up front; a 6040 split folding bench seat is in the rear. 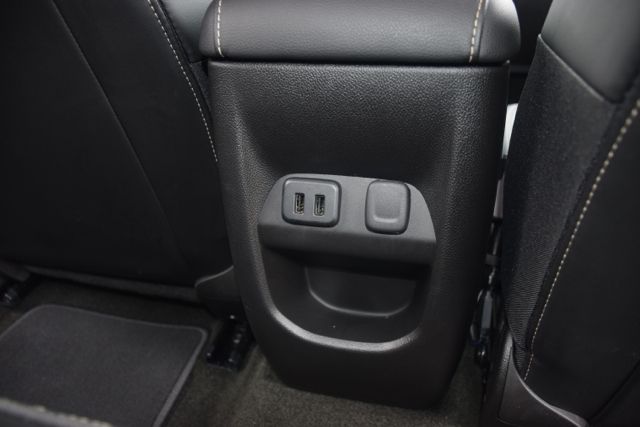 The front seats offer four-way power adjustment and power lumbar support. Every model comes equipped with keyless entry, full power accessories, cruise control, a tilt and telescopic steering column, steering wheel-mounted controls, a heated steering wheel, heated and ventilated front seats, and a sliding rear window. On the connectivity front, the Canyon Denali rocks it. You’ll find no less than four USB ports, OnStar, 4G LTE Wi-Fi hotspot, Bluetooth, and an available seven-speaker Bose audio system. An eight-inch color display sits at the top of the center stack and acts as the “nerve center” for all things infotainment. 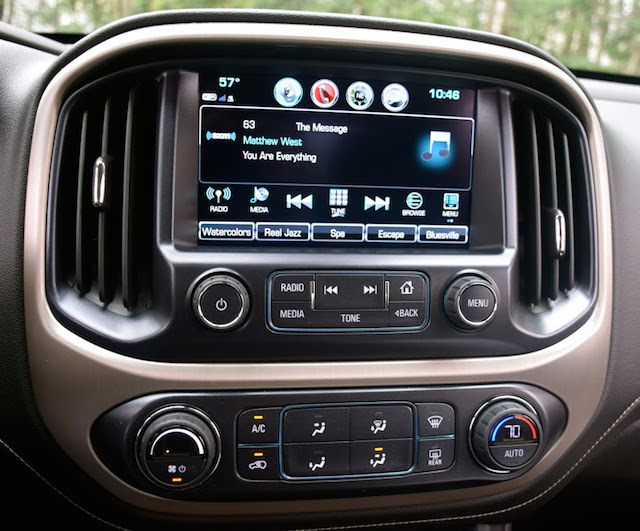 The infotainment system comes with navigation and this may be the GMC’s weakest point. The maps are accurate and colorful, but when it comes to understanding voice commands, not so much. Indeed, after more than a half-dozen tries to find my son’s soccer field, we abandoned the system and used our Siri phones to satisfy our needs. And it wasn’t just a recurring local mistake — the IntelliLink system pulled up addresses out of state again and again. As for standard safety equipment, beyond the usual traction and stability control, anti-lock brakes, and a suite of airbags you’ll find a rearview camera. Lane departure warning and forward collision alert are also included. GMC adds in “Teen Driver,” a function enabling parents to restrict certain behaviors as well as to track the teen’s driving habits. The four-cylinder engine is not available in the Denali. Instead, GMC supplies a 3.6-liter V6 engine, which is also available in upper trim Canyon models. This engine makes 308 horsepower and 275 pound-feet of torque and comes with with an eight-speed automatic transmission. Two-wheel drive models make an EPA-estimated 18 mpg in the city and 25 mpg on the highway. Four-wheel drive models come in at 17/24 mpg city/highway. New this year and available with the Canyon Denali is a 2.8-liter turbocharged diesel engine. What’s significant about the turbo-diesel is that the GMC (and Chevrolet) are the only models in this segment to offer one. The TD makes 181 horsepower and 369 pound-feet of torque and also delivers the best fuel economy in the segment — 22/30 for two-wheel drive and 20/28 with four-wheel drive. 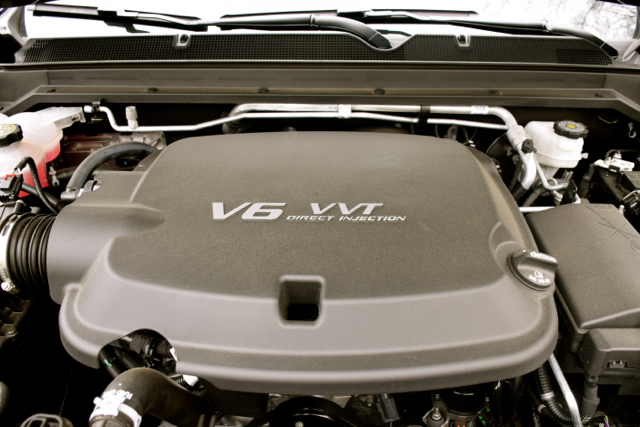 This engine comes with with a six-speed automatic transmission. As for the drive, the Canyon Denali moves away from a full stop with some deliberation. The truck seems heavy and it is — the 4×4 weighs in at just over 4,500 pounds. That’s a lot of mass to move and no wonder the V6 is standard. I was more than a little surprised to encounter some hesitation with the transmission as I applied pressure to the gas pedal. Typically, gears shift smoothly, but in several instances the shift changes came in longer than I expected or wanted. Slight hesitations, but noticeable nonetheless. Notably, the gear changes seemed rough when upshifting, but not when downshifting. Overall, the ride is as smooth as you would expect for a midsize pickup truck — not horribly bumpy, but not as smooth as a sedan. I don’t think ride quality is the biggest issue with such trucks anyway — payload, towing, and overall versatility rank high. Off-road capabilities is important to some, but even as a 4×2 the Canyon should satisfy most customers. It doesn’t have the girth of a GMC Sierra and that’s important to some. At the same time, the Canyon isn’t anything like the tiny Chevrolet Luv trucks that once represented the bottom of the segment. Sure, some people would prefer the tiny trucks that once plied America’s roadways, but the “chicken tax” has assured us that nothing of the sort will happen. Instead, we may see a few car-based models appear down the line, with Hyundai reportedly considering one. All in all, the Canyon Denali is a truck that blends elegance with burliness, but it comes at a steep cost. 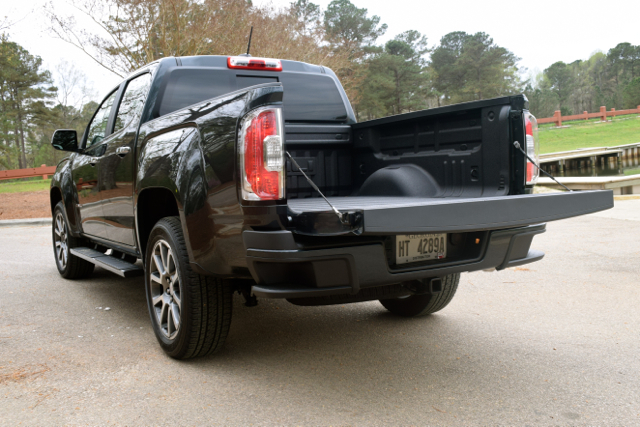 If you can live without the Denali label, a fully-optioned truck should cost you no more than $35,000. 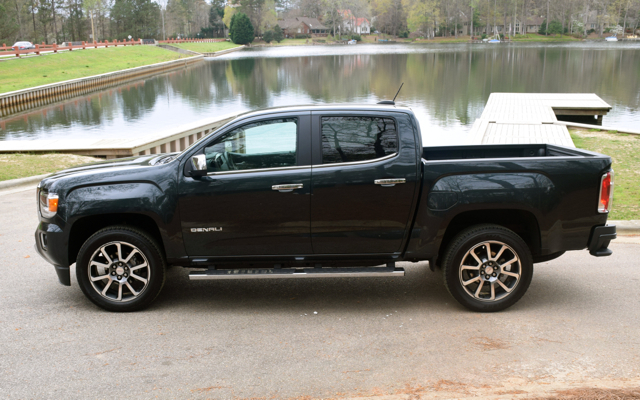 At the same time, you may find that discounting on the larger Sierra comes in steeper, bringing into play a truck you might have thought too big for your needs or at least out of your range.